The HD DA 35/2.8 has a rounded iris diaphragm (from f3.2 to f4) to enable soft round rendering of out-of-focus objects like point light sources. 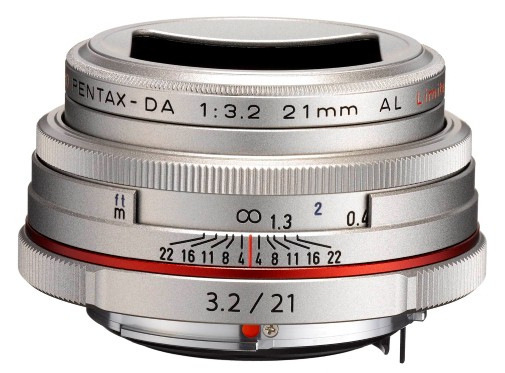 The “Pentax 21” lettering on the top side of the lens barrel is replaced by “3.2/21”. The HD version is 6 g lighter than the SMC version. The dedicated hood of this lens has a bayonet mount. The counterpart, i.e. the lens’s bayonet mount for the hood, is placed beneath the 49mm filter thread. Therefore, when the hood is mounted to the lens, the 49mm fiter thread is hidden. 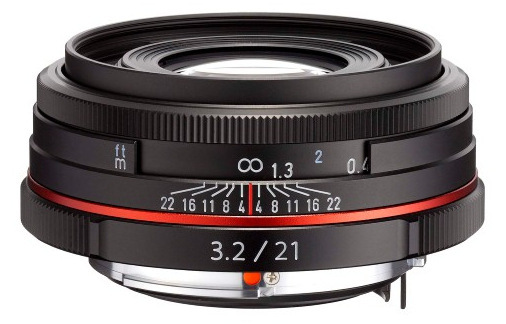 However, the hood has its own 43mm filter thread on its rear side, so that slim 43mm filters can be used when the hood is mounted to the lens.